Shahi Imam of Tipu Sultan Masjid, Maulana Nurur Rehman Imam Barkati on Wednesday alleged that Rashtriya Swayamsevak Sangh (RSS) was the one which helped the British when East India Company was ruling India, adding that if any Muslim would support the right-wing organisation and the Bharatiya Janata Party (BJP) then they would be ostracised from the community. "The BJP is supported by the RSS. The RSS has worked for the British, they were their informers. Due to them, a number of freedom fighters were killed. The RSS has not left a stone unturned to make India a slave. Due to the RSS, India was divided into two parts," Barkati told ANI. Barkati also accused the RSS for conspiring in the 2002 Gujarat riots, where scores of people was killed, saying that the former did such thing to just come to power. "We will first try to make Muslims understand to leave the RSS, if they will not then we would boycott them. The BJP is not concerned about Muslims at all," he said. Meanwhile, RSS ideologue M.G. Vaidya said there is nothing worth fearing from the Imam's fatwa, adding that these are just tall claims and have nothing to do with reality. "There is nothing worth fearing for in this threat. There are number of Muslims in the BJP. Even now a number of Muslims are joining our party and in future also they would continue doing it. I don't think by joining BJP, Muslims Islamic religion would be affected," Vaidya told ANI. Barkati yesterday issued a fatwa against Muslims who supports RSS and BJP, saying that the one who would support the party would be ostracised from the community. "As the Shahi Imam, I declare that those Muslims who support RSS or BJP would be outcasted, and if they try to put up a meeting or rally around this place I will beat them up myself," Barkati said at a press conference on Tuesday. He said there were many Muslims who had been bribed by the RSS and the BJP with huge money to spark riots in Bengal. 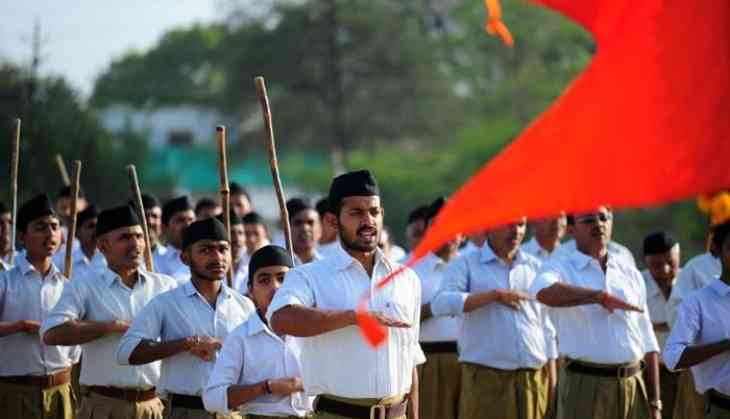 "The Sangh parivar is spreading Hindutva across the country. And just like there was jihad against the British tyranny in India, there will be a jihad against the RSS if they try to make India into a Hindu nation," Barkati said.